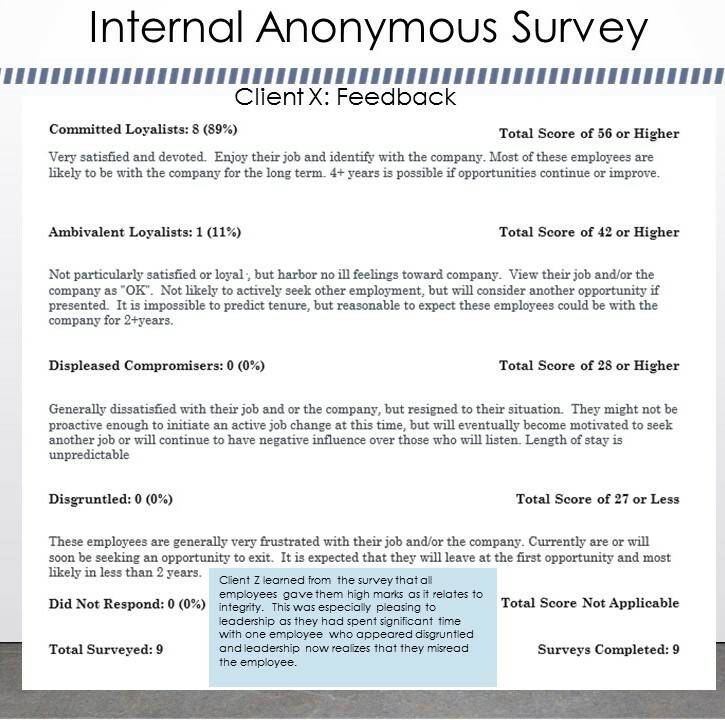 You have now completed the Internal Anonymous Survey, reviewed some of the data generated by actual companies, and if desired, submitted your additional questions. You are now ready to move on to Part 2, the Strategic Operations Review. Please click the blue link below to move forward.